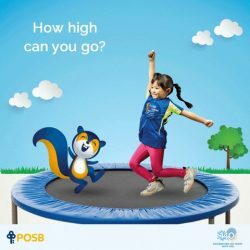 [POSB Autolobby] Bounce your way to more fun at the POSB PAssion RunForKids carnival this September! [Bonheur Patisserie] DBS/POSB promotion ongoing at both our outlets everyday! 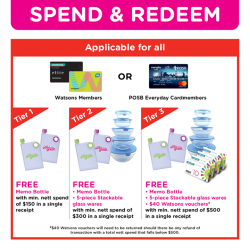 DBS/POSB promotion ongoing at both our outlets everyday! [POSB Autolobby] Bryan Wong and Zoe Tay could be popping over to your hood! Bryan Wong and Zoe Tay could be popping over to your hood! What could they possibly be up to? Get a hint below and watch this space for more clues. Also, be one of 140 monthly winners to receive S$140 worth of Sheng Siong vouchers. Just keep your cash withdrawals to 2X or less per month! [Crystal Jade Steamboat Kitchen] Spend a magical mid-autumn with Mickey & Minnie! Spend a magical mid-autumn with Mickey & Minnie! 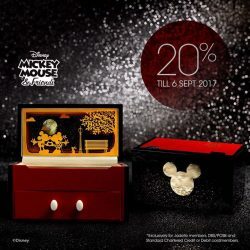 From now to 6 Sep, enjoy an early bird discount of 20% off Disney and traditional mooncakes! Exclusively for Jadeite members, DBS/POSB and Standard Chartered Credit or Debit cardmembers. [SEORAE] Special treat for DBS card members! 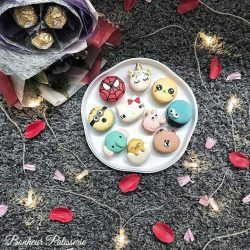 Special treat for DBS card members! 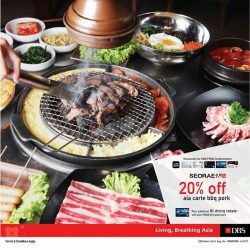 Get 20% off ala carte BBQ pork at Seorae. Join us now! - Valid 1 Aug 2017 - 28 Feb 2018. - Not valid on eve of and on PH and special occasions. - Not valid in conjunction with other discounts, voucher, promotions and set menu. - Valid on ala carte menu only. - DBS terms and conditions apply. [DBS Bank] Financial education need not be intimidating, says millennial coach and blogger Benjamin Loh. 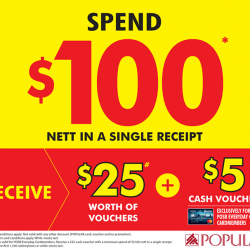 Great bargains aside, here are MORE reasons to shop at the POPULAR Warehouse Sale – receive $25 worth of vouchers from Cat & The Fiddle, Eighteen Chefs, Wild Wild Wet and POPULAR when you spend $100 at the sale! Simply pay with your POSB Everyday Card and receive an additional $5 POPULAR CASH voucher. Hurry to the POPULAR Warehouse Sale today! 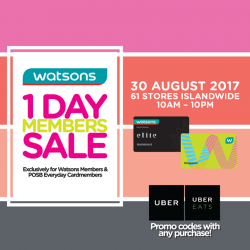 Valid until 3 Sept 2017. T&Cs apply. Not a Member yet? Join now at $5 to enjoy these Members exclusive deals and a lifetime of Member benefits! 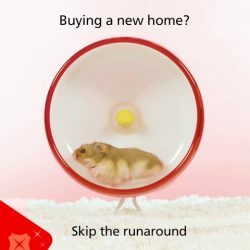 [DBS Bank] We get it — running errands actually involve lots of running around. We get it — running errands actually involve lots of running around. That’s why we’ve made home loan applications easier than ever. Now, you can upload your documents online, and save yourself from the trouble of stepping out of the house! 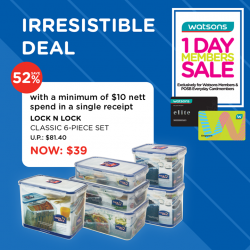 Members 1 Day Only Sale! 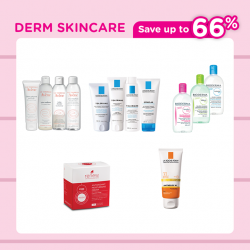 Enjoy up to 60% off on up to over 2000 hot buys, 6% cash rebate when charged to your POSB Everyday Card, fantastic gifts with purchase and everything needed for beauty, health and wellness! Shop on 30 August from 10am to 10pm* at selected 61 stores only! PLUS! LIKE & SHARE this post now! 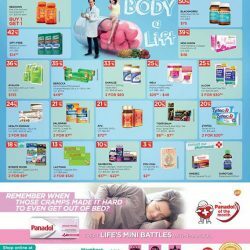 20 lucky winners will stand to win $10 Watsons voucher! 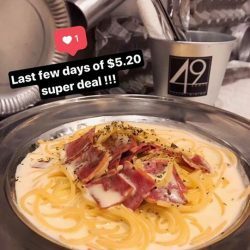 [49 Seats] Are you missing out on the last few days of $5. Are you missing out on the last few days of $5.20nett super deal ? Grab it before it ends on 31st August Thursday *available for lunch & dinner* with the following items at $5.20 NETT ! 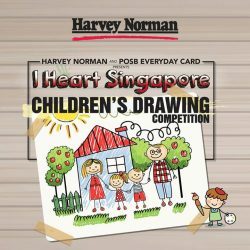 Your primary school child could walk away with a limited edition Sony PlayStation 4, POSB Smiley Plushie Toy or Harvey Norman Vouchers! Simply upload their drawing that expresses their love for Singapore. 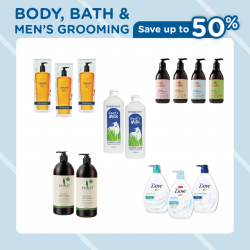 Be the first to shop in advance this Members 1 Day Only Sale! Enjoy up to 60% off on up to over 2000 hot buys, 6% cash rebate when you charge to your POSB Everyday Card, fantastic gifts with purchase and all your needs for beauty, health and wellness! 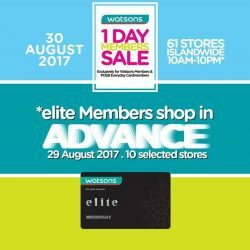 elite Members shop in advance on 29 August from 10am to 10pm* at the following 10 stores. Know all the hot deals inside out by grabbing your copy of the mailer from these stores! Actual Members 1 Day Only Sale on 30 August at selected 61 stores. 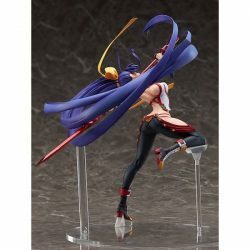 See http://bit.ly/2wLOMIi for more details. 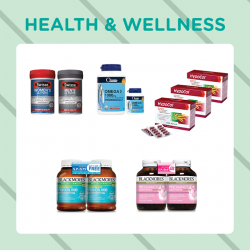 Want to enjoy elite benefits? 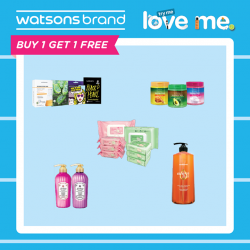 Simply join as a Watsons Member and accumulate min. $1,000 nett spend from 1 April 2017 – 31 March 2018 to rise to elite 2018! 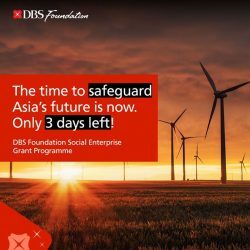 [DBS Bank] Last call for innovative social enterprises creating impact in Asia!